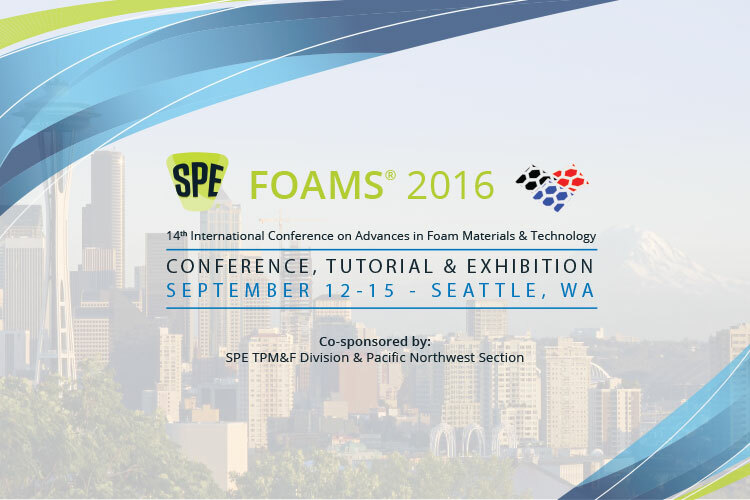 14th International Conference on Advances in Foam Materials & Technology – FOAMS 2016. The Foams 2016 Conference will address the forefront of foam technology in a collection of presentations made by leading researches from both industry and academia. It will feature world-renowned speakers presenting technical papers on innovations in foam processing, state-of-the-art foaming materials, nano-cellular foam technology and environmentally friendly foams. Besides the Conference, the tutorial (September 12-13) will offer practical information on the development of new blowing agents, design of foam products, and basic technical background on foaming polymers.